The Tasmanian Association of Vocational Rehabilitation Providers Inc (TAVRP) has taken all reasonable care in producing the information contained within this website. TAVRP does not accept responsibility for loss or damage arising from the use of this information. Likewise, the information contained in this website in no way replaces or supersedes the advice of a Rehabilitation Provider or the relevant regulatory body or legislation. Information supplied by TAVRP in this website is based on publicly available information, internally developed data and other sources. You may download the information for your own personal use or to inform others about our materials, but you may not reproduce or modify it without our express written permission. TAVRP makes no representations about the suitability of the information contained in the documents and related graphics and/or software published on this server for any purpose. All such documents and related graphics are provided “as is” without warranty of any kind and are subject to change without notice. The entire risk arising out of their use remains with the recipient. In no event shall TAVRP be liable for any direct, consequential, incidental, special, punitive or other damages whatsoever (including without limitation, damages for loss of business profits, business interruption, or loss of business information), even if TAVRP has been advised of the possibility of such damages. Linked sites are not under the control of TAVRP and TAVRP is not responsible for the contents of any linked site or any link contained in a linked site. 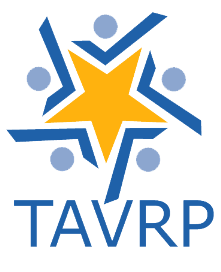 TAVRP provides links to you only as a convenience, and the inclusion of any link does not imply endorsement by TAVRP of the site. TAVRP reserves the right to prevent linking by giving notice.